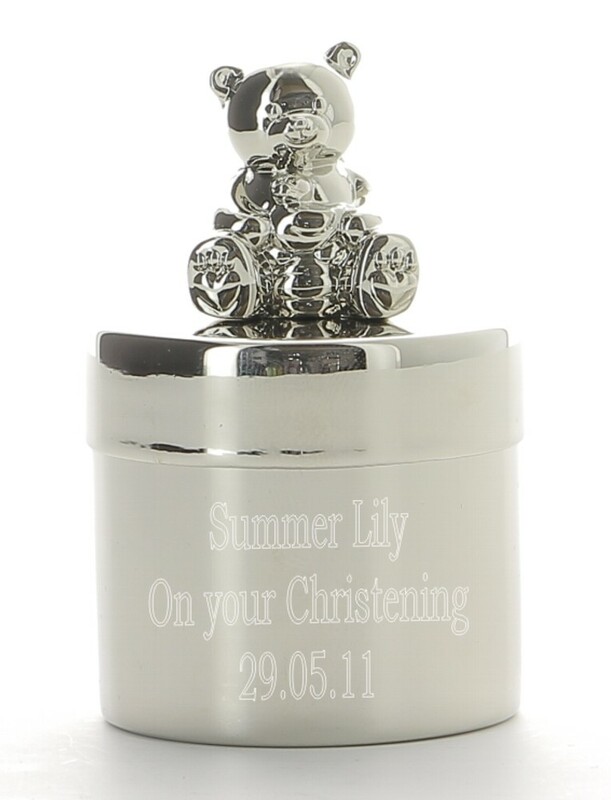 Personalised Engraved Silver Plated Teddy Bear Trinket Box. This great round box measures 45mm in diameter and 75mm from the top of the teddy to the base of the box. The lid lifts off completely and has a dark blue velvet lining. All your engraving is done on the side/round base of the trinket box. An ideal first tooth/curl box or an unique gift for a Christening or first Birthday.